Smart class is the latest way of teaching. This is education through technology. The lessons are taught by software and shown with the projector in the classroom. This type of teaching will help students in understanding concept in a better way thus making the teaching an experience. 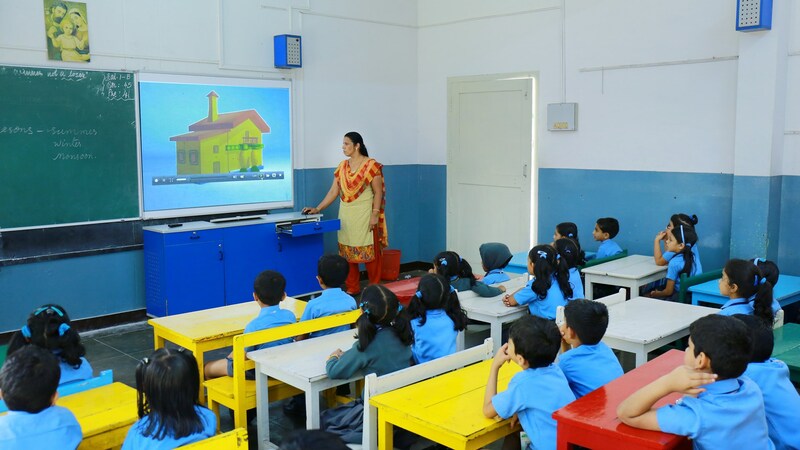 In 2011 SPS started using the smart class in educating students. We have 14 smart classrooms - one for each class. Each division takes a turn to use the smart classroom.